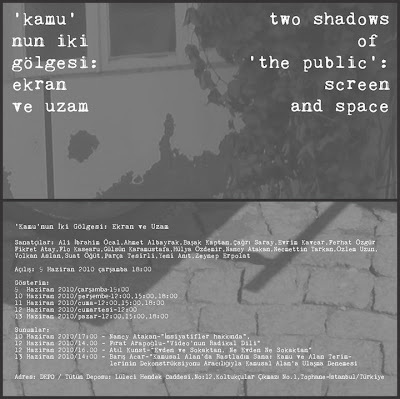 Between 9-13 June 2010, Videoist Traveling Video Art Initiative based in Istanbul will organize a screening program at DEPO titled 'The Two Shadows of the Public: The Monitor and Space.' 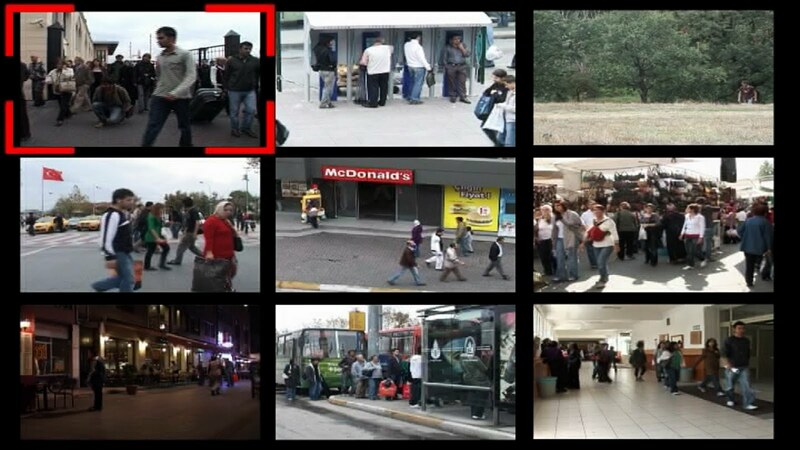 The program will include videos dealing with and/or produced in public spaces and parallel presentations and discussions. Ahmet Albayrak, Yeni Anıt, Volkan Aslan, Nancy Atakan, Fikret Atay, Zeynep Erpolat, Başak Kaptan, Gülsün Karamustafa, Evrim Kavcar, Flo Kasearu, Ali İbrahim Öcal, Suat Öğüt, Hülya Özdemir, Ferhat Özgür, Necmettin Tarkan, Parça Tesirli, Özlem Uzun, Çağrı Saray. 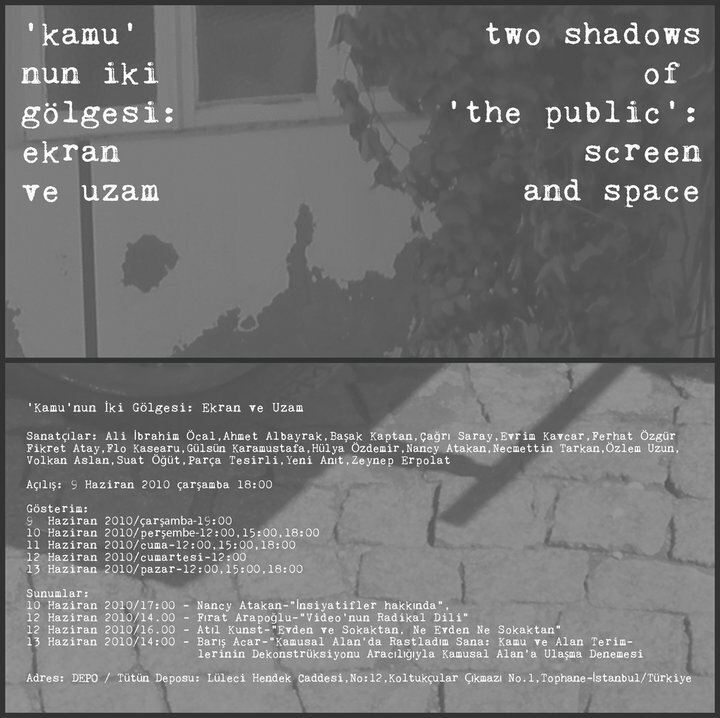 The program will begin on 9 June 2010 with an an opening at 18:00 followed by a screening at 19:00. The screenings will be repeated at 12:00, 15:00 and 18:00 on 10, 11 and 13 June 2010. On 12 June 2010, there will be one screening at 12:00.